The Anunnaki, giant, technologically advanced ET Homo Sapiens who adapted their genome to Earth to create us as slaves, ran their operations with master computing devices they called MEs. 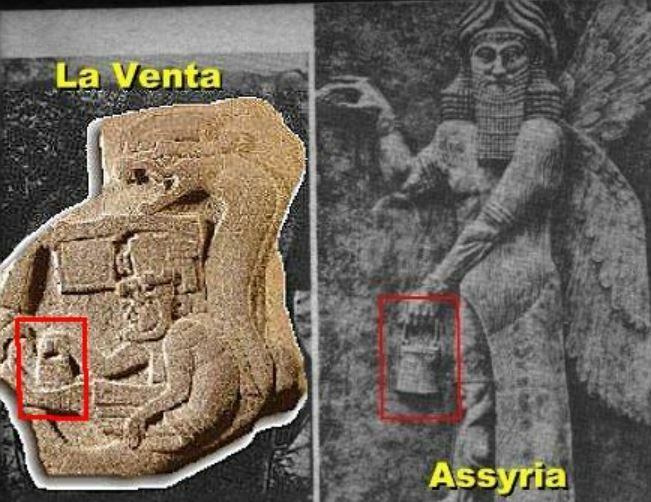 In 400,000 BCE the master computers and command modules that controlled space and Earth communication sat in Enlil’s place at Nippur in southern Iraq. In 380,000 BCE, Anzu stole crystals [computers] and MEs [portable command modules]. Each ME controlled a certain function, and only its possessor could operate it. 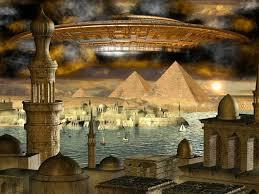 Anzu now had the ME of Enlil’s Command of Earth, the ME called The Brilliance or ME of Enlilship, until Ninurta retook them for Enlil. Anunanki royals carried crystal computers a few inches large–MEs– in purses they wore on their wrists. 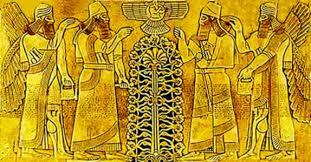 The Anunnaki sewed MEs they controlled into their clothes or worked into their scepters, hand-held weapons as well as weapons and devices on their aircraft and in their control rooms. Inanna seduced Enki for ninety MEs that Anu ruled she could keep. 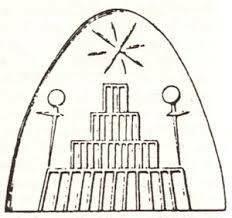 References abound for Anunnaki devices–probably atomic–in their structures, rockets and even in the Ark of the Covenant. Enki, drunk and in sexual heat with Inanna, gave her computer devices (MEs) he later regretted but couldn’t get back. These devices, including The Exalted Tiara, the Exalted Scepter and Staff, the Exalted Shrine, set in jewels and crystals and affixed to her clothes, a scepter or shrine, could “emit and control a force field,” or a ME sewn into her clothes “could emit a luminous field” that made her “look clothed in radiance” and let her proclaim herself queen, “clothed in radiance. For centuries afterward, Earthlings with whom she coupled were dead the next morning–perhaps a combination of radiation from MEs she wore and Inanna’s sexual practices.